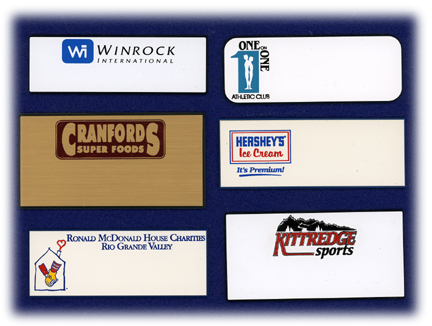 We can custom engrave a single-color logo on a variety of colored badges. See examples below. If we do not have your company's logo, we can custom order dies to accommodate a multi-color logo. Set-up charges apply.